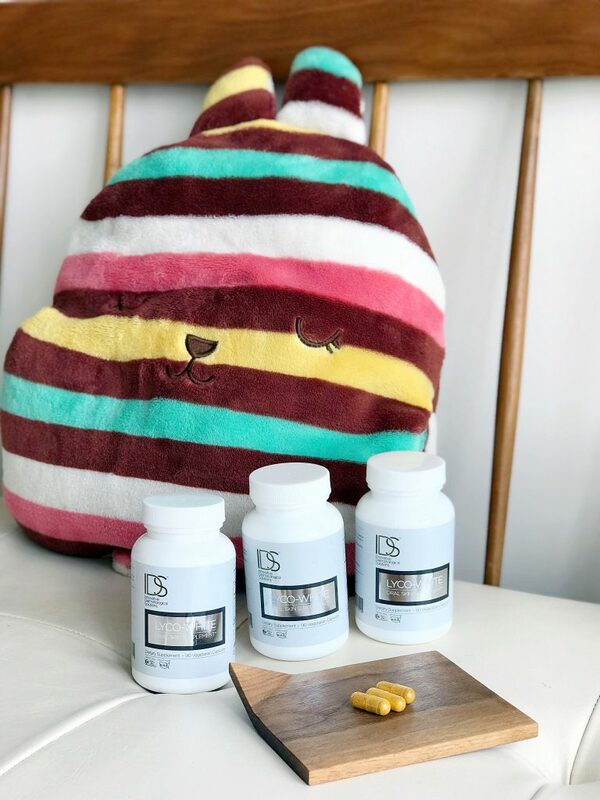 IDS Lyco-White (90 Capsules) x 3 bottles for S$465.45 with GST. The reason why I didn’t choose Crystal Tomato was because different clinics/sellers were selling the exact same product at hugely different prices – the range of the price difference was totally wild. Was there really such a big margin for the product that many sellers try to go way below the retail price just to move stock? Anyway, I ended up getting Lyco-White from IDS. Firstly, the pricing was super transparent (I don’t need to worry if I kenna carrot). Secondly, IDS claims that it’s a sunblock and whitening supplement. Yay! Does that means more convenience and cost-savings? Just purchase 1 product can le (by right). After taking religiously the recommended dosage of 3 pills every morning for slightly over a month, I must say it did prevent me from getting sunburns and (even) tanner than I’m already is. However, on the whitening front, I don’t see any effect of whitening at all (almost completing my 3rd bottle now). 30 capsules per box. Price range from S$32 onwards from certificated resellers in Singapore. 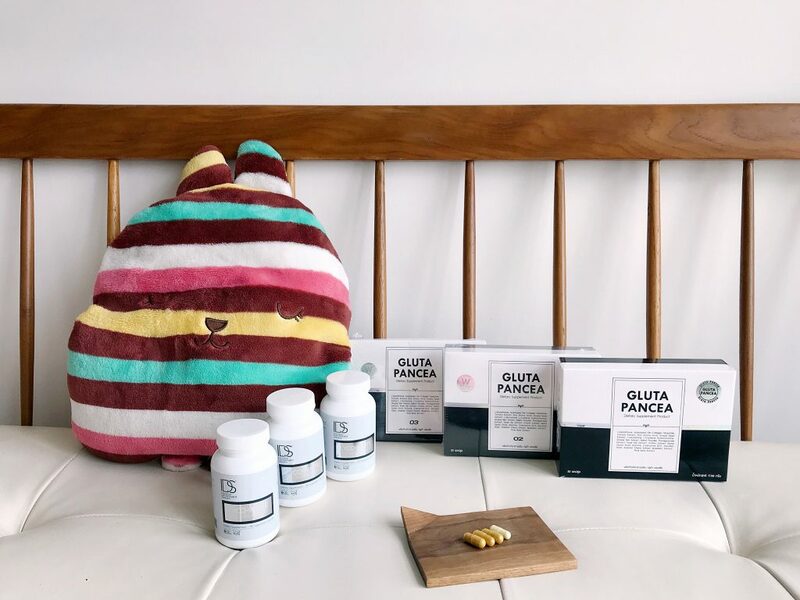 After testing out and finding that Lyco-White only works from preventing me from getting tanner but not making me fairer, I started to look out for other options and chanced upon Gluta Pancea which is claimed to be a very popular whitening supplement in Thailand. Apparently, many models and local celebrities swear by it. And it’s said to that effects are actually visible within 7 days! That’s… one week!? I decided to give it a shot because it’s the cheapest whitening supplement that’s most legit looking (at least). I carried almost zero to no hope when trying it out especially when I took double dosage initially during the first week but saw no visible effect. So I cut down the dosage to the recommended 1 pill dosage, instead. Lo and behold….. it works pretty well when I take 1 pill daily instead of 2 (1 in the morning and 1 before sleep). I didn’t get fair enough until I can blend into a white wall like (some reviews) claim, but I do see that my complexion becomes much better, clearer and more radiant as compared to before. Almost completed 3 bottles of IDS Lyco-White and 2 boxes of Gluta Pancea. IDS Lyco-White definitely works well in terms of being an oral sunblock but not for whitening. I must add that their pill is damn hard to swallow, and I’m a person who can just swallow most pills without any water (be it big or small, medicine or supplements!) since young… even when I’m sick! ….but Lyco-white really takes the punch! I got IDS Lyco-White directly from IDS clinic instead because it’s cheaper compared to their website (even after promo code!). 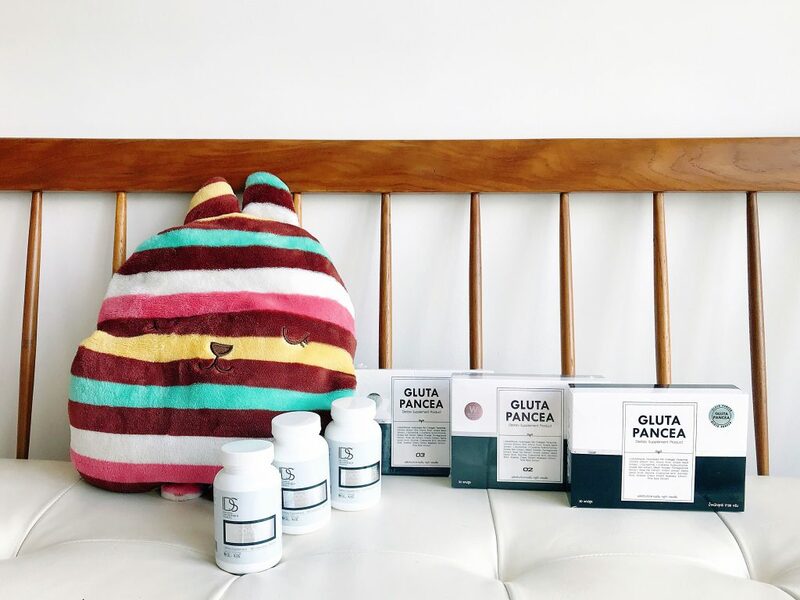 Some of you might notice the different numbers printed on the Gluta Pancea boxes. I got 03, 02 and 10 differently on each individual boxes. The reason for the different numbers is actually the batch number, but the contents inside are actually the same (from what I was told lah). Many of you asked me on my Instagram where to find/buy this in Bangkok (since Gluta Pancea is from Thailand). To be honest, I’ve no idea! I’ve tried asking my friends to look around when they were there but failed so I just bought it from the local distributors. I heard that it’s only 300baht (~ S$13) in Bangkok?! (Please don’t quote me on this). But I chose to get it in Singapore from authorised distributors eventually because I didn’t want to wait. Disclaimer: What might work for me, might not be for you and vice-versa. I doing my best to provide accurate information, but please do understand that I’m no expert nor professional in this… and that you should totally talk to your doctor to give you proper advice.